Defence on Madden can be tough for beginners, and veterans alike but Andrew has come up with some simple tips will help you improve defensively and make you look like the next Wade Phillips. Some will take a bit of practice but will be worth the effort, stick at it and you’ll reap the rewards. Usering the D-line is ok. And yes it’s easy to do, and you can make Joe Bloggs like the second coming of Khalil Mack but better players will soon start to expose you. So try and start usering a linebacker/safety/slot corner and reap the following rewards. It gives you the ability to help out in both the run and pass game. 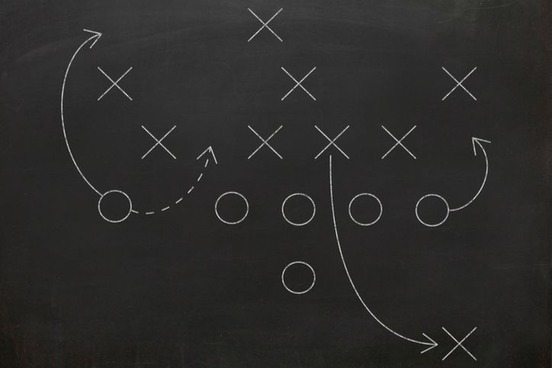 Some routes will always beat base coverages by design, by usering these routes/concepts you can take this away, panicking your opponent into making bad throws. For zone coverage plays I would suggest always usering a player which is covering a yellow (middle of the field). The CPU is stupid and will not adapt over time. Each play they will do the same thing over and over depending what zones they are running. Hitting Y pre snap will give you options how to change the type of zones the defence run. 3. Cloud flats – after Y, press down on the Left stick, Y again then up on the Left stick. This zone classes as a inbetween the over the top and hard flats. If your opponent is killing you with drag routes and your defenders are always dropping to do. Change the zones to hard flats, then manually user the void area behind it. This will disguise your play. If your opponent can tell what defensive play you are running because of your alignments, they have the advantage as they can audible to plays which have better success about it. Opponents after go on pre-snap reads. 2 high safeties = cover 2 man/cover 2 zone. This would usually leave you susceptible to post plays and will likely look at the player running that route. If you are running cover 3 so a safety goes to the middle field to cover a post, base aligning will hide this and often get the pick. This can sometimes make you weak to quick throws (as players aren’t lined heads up) or the run plays (will put 2 high safeties so a light defensive box). There is no better feeling that getting the “User Lurk” banner after you intercept your opponent. This means you usered that play all the way through the play, baited the throw and picked it off. When usering a defender, I always act like i am covering the “first route” through my positioning, but I am always looking at the second receiver. Soon as the QB sets to throw, I’m breaking off the 1st receiver (who the opponent thinks i am covering) and jumping the “open” second WR. Match this lurk principle with sending extra blitzes. Panic your opponent into making quick decisions, where they see the 2nd WR slightly open, throw under duress and right into your user lurk. When you finally pick that screen off you can retire as madden defensive god. Good luck, get practicing and hit me up if you need any help.